Enter year, must be 4 digits, write NA if you do not want it to be engraved. 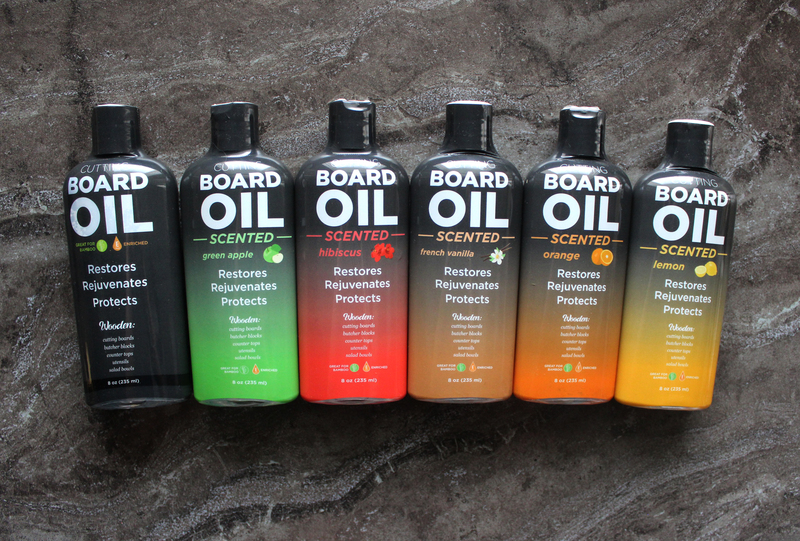 Please select the board oil. Please select whether you’d like a metal stand. Leave blank not to select. Please double-check the spelling and make sure all of your information is correct (dates, names, etc.). We cannot accept returns or refunds on engraved items, unless we made the error. Typical processing time is 1-5 business days. 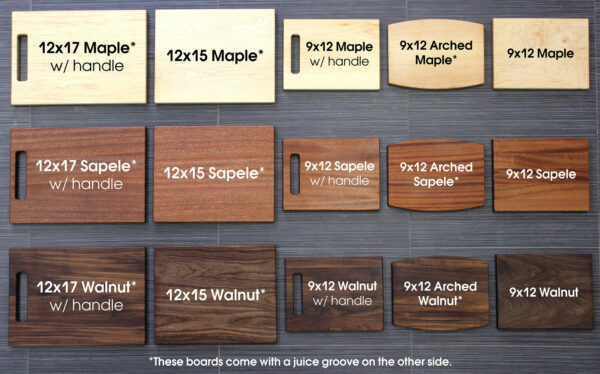 TECHNOLOGY: Each and every board is made from a high grade natural wood. All boards are made by us in our own shop and carefully checked prior to the engraving process. 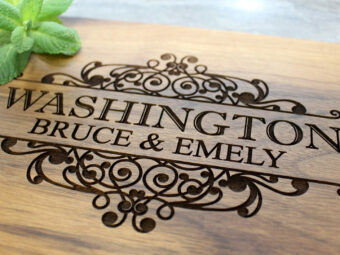 Personalization is achieved by using the state of the art laser engraver. 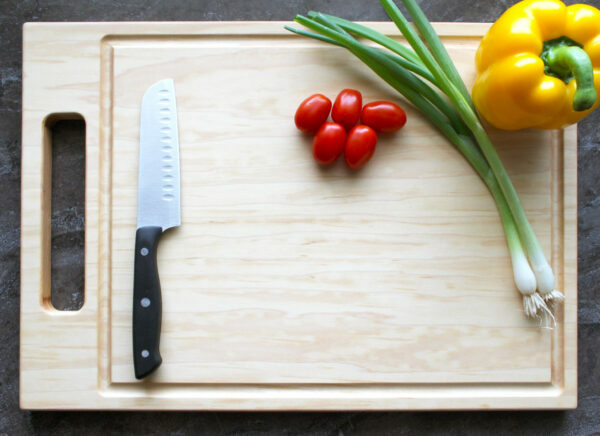 Last, but not least, each board is completed by application of Cutting Board Butter for the board's protection; therefore, you get a fine-looking FINISHED cutting board! » Please choose your board from the drop-down menu. Please refer to the board sample image provided. Cutting boards with a juice groove will be engraved on the OPPOSITE side of the juice groove. » After selecting your cutting board click “Add to Cart”. 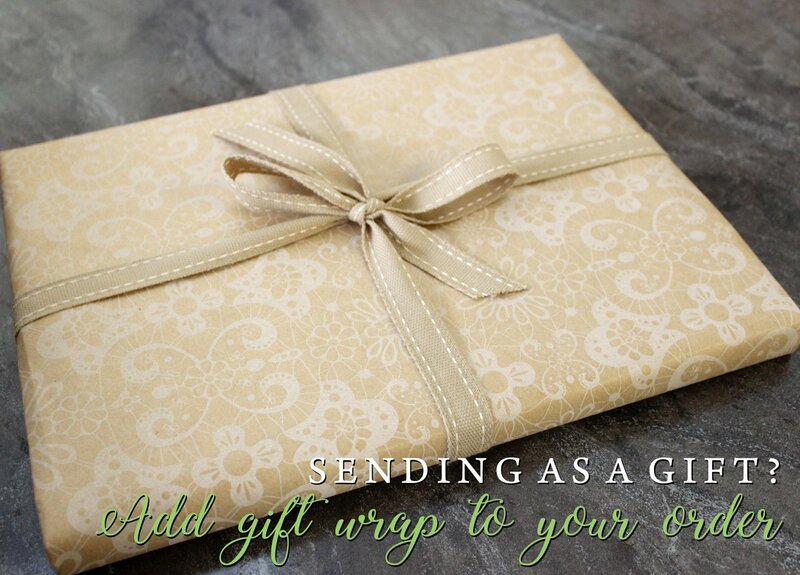 » In the “Add a note to WalnutArtisanGallery” box, enter the text exactly as you want it to be engraved on your board. Designs and fonts are set as is displayed in images. Your text will be copied and pasted into the design. Double-check all spelling, grammar, dates, etc. If any info is missing, it will be left blank on your board. Welcome to Walnut Artisan Gallery! 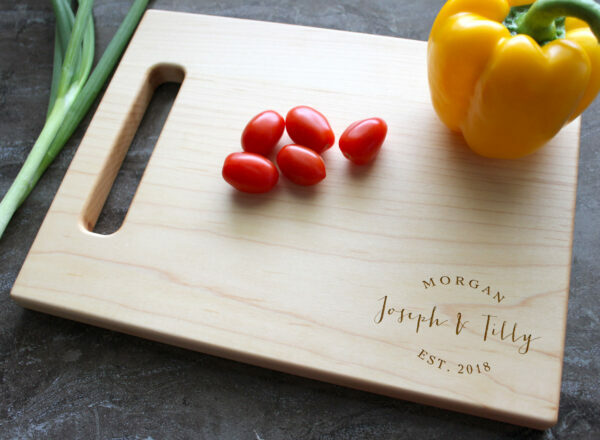 I specialize in artisan personalized cutting boards made from sustainable, high-quality wood and finished with a homemade, all-natural butcher block butter. I do not stain my boards! 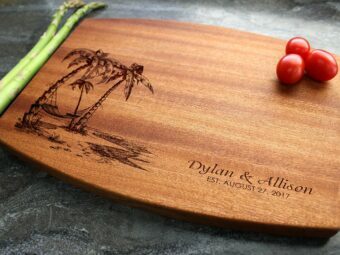 My cutting boards are unique gifts perfect for any holiday, wedding, housewarming, birthday, and everything in between. 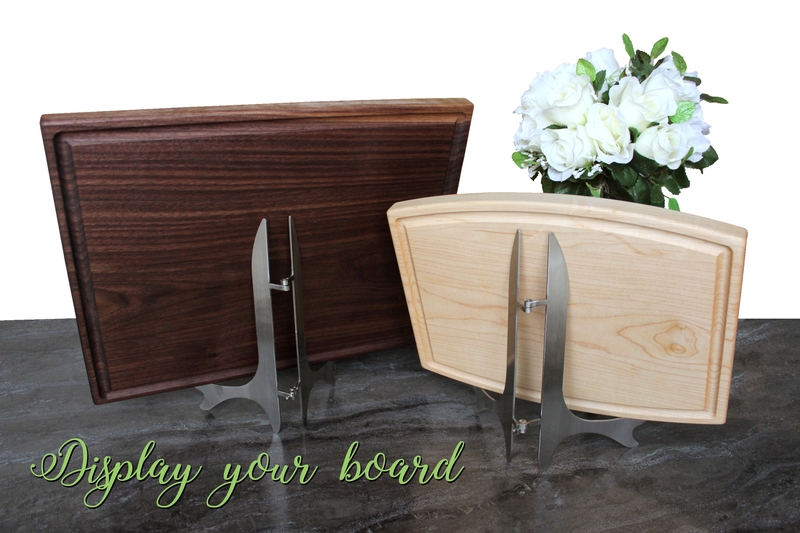 » Boards may not look exactly like the images provided, as each piece of wood and its engraving is one-of-a-kind. 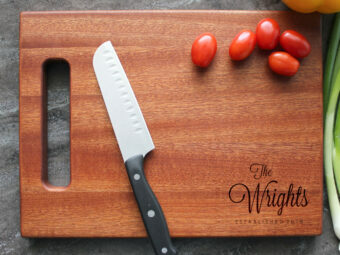 All cutting boards are measured in inches and are about 0.75 inches thick. » Sorry, but I do not accept returns/refunds due to customer’s error. This is a made-to-order item and cannot be redone, unless I am at fault. » If you want to see a proof of your board, request this on your order and I will gladly send you one. Please note that proofs will delay the processing time. Have questions? Please do not hesitate to contact me through Etsy Conversations.